If you are looking for the right cooking equipment for your restaurant or hotel, Kent Catering has you covered. We offer various types of high-quality catering equipment sourced from major brands such as Electrolux, Garland, Rational and more. Whether you are looking for a complete cooking range or a high-tech combination oven, our stock of equipment has something that suits your kitchen. From our years of experience in the industry, we have provided many commercial kitchens in Guildford with the right cooking equipment. We have built a reputation for being a preferred supplier of catering equipment to many established hotels and restaurants in Guildford. the combination ovens made by Rational. 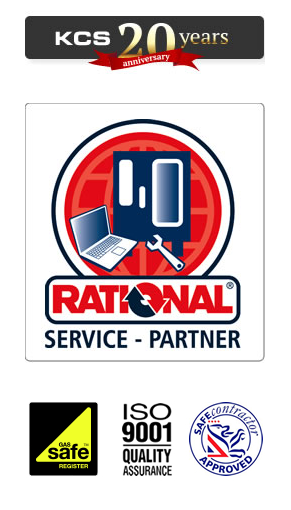 We have been a Rational Sales and Service partner for over 20 years. This has led to us supplying their most innovative ovens such as the Rational Whitefficiency. It features a dynamic air mixing function that ensures that heat is evenly distributed in the cooking cabinet. It’s an oven that can bake, roast or steam. mind. If we see that some parts of your units need to be replaced, we can easily find a replacement as we have a large stock of spare parts for our cooking equipment. When it comes to installing and repairing your equipment, our catering service engineers are on the job. All of them have completed the ACOPS Gas course and are Gas Safe registered to deal with catering equipment that uses LPG tanks. As required by the Health and Safety Executive, they also follow the 15th and 16th editions of the I.E.E regulations. Call 020 8462 9911 for any enquiries about our products or services.